We are going to take care of your Bowmanville house cleaning needs the way they are supposed to be taken care of. As the leading cleaning company in Chicago we have the resources, manpower and knowhow to carry out even the largest regular cleaning jobs with professionalism and care for the detail. The best part is that you will not have to waste any energy or time into the process, because our vetted cleaners are going to take care of everything for you – just opt for our reliable Bowmanville maid service. All members of our team have years of experience and have been carefully vetted in order to make sure that they know exactly what they are doing at all times. We operate on a very flexible schedule, and what is even more important for the majority of our clients, we offer very attractive discounts for regular cleaning and the most dedicated of our clients. Make your life easier now by simply calling us to come and clean your household. Our maid service for 60625, Bowmanville is the best option that you have before you right now. Bowmanville is a residential area in north Chicago, in the district of Lincoln Square. The first time the territory of the present day neighborhood began in the 1840s. 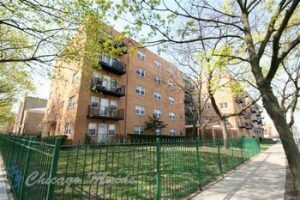 There are many fine residential developments here and they offer quick and easy access to central Chicago, which makes the place very attractive.